Need a scarf? Know someone who does? 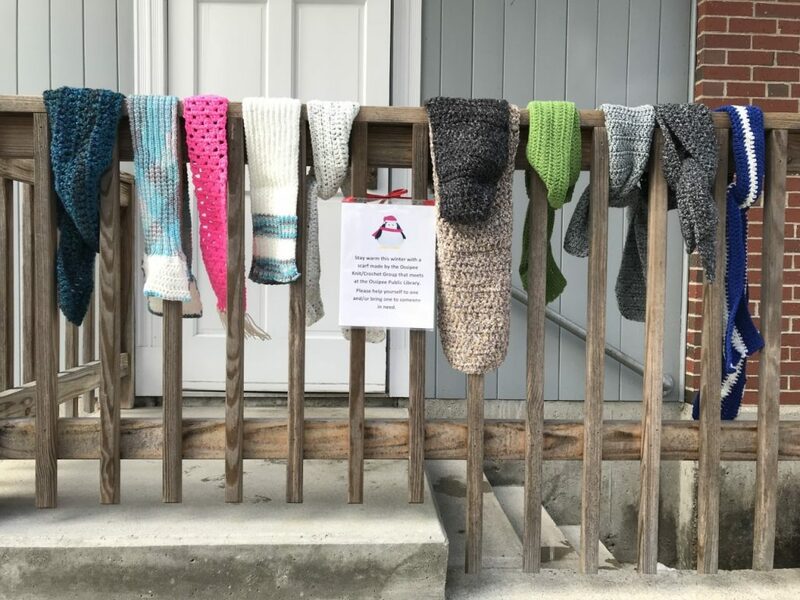 Stay warm this winter with a scarf made by the Ossipee Knit/Crochet Group that meets at the Ossipee Public Library. Please help yourself to one and/or bring one to someone in need.